A method of analyzing tumors could inform response to immunotherapies. You can probably guess how your closest friend will react to a particular situation: It’s an intuition that arises out of the database of knowledge about her built up over years and stored in your mind. Predicting how someone might react to a treatment, though, is a process that has vexed researchers working in the burgeoning field of precision medicine. How can they “know” a patient’s immune system, a patient’s cancer, and how those both change over time well enough to prescribe the best protocol? The biggest advancement in cancer treatment since the advent of chemotherapy is immunotherapy. The novelty of this approach is in the target: the goal of immunotherapy is to stimulate the patient’s own immune system to fight cancer by using particular components of the immune system itself, not just tumors, as a target. One example comes from the concept of immune “checkpoints,” which are signaling mechanisms between cells that, in normal circumstances, regulate healthy immune function. Some cancers interfere with this checkpoint signaling to avoid being recognized and attacked by the immune system. With that in mind, scientists developed certain immunotherapies that disrupt those signaling malfunctions by “putting the brakes” on specific proteins such as CTLA-4, PD-1 and PD-L1, thereby freeing the immune system to fight against certain types of cancer that those proteins are involved in. These treatments have been shown to fight diseases including lung cancers, melanoma, Merkel cell carcinoma and bladder cancer. While results can be remarkable, response rate to immunotherapy can vary widely. That’s why it’s important for researchers to better understand each patient’s immune system and identify biomarkers and molecular characteristics of a patient’s cancer that indicate whether he or she would be a good candidate to receive immunotherapy. Often, cancer patients don’t have the luxury of time to see if a therapy works, so knowing whether a treatment could be effective beforehand could save lives. Additionally, identifying the largest group of patients who are likely to benefit from a therapy with minimal safety risks allows resources to be used more effectively. And with TMB, he adds, you’re not just looking at a single mutation at a time—you have the potential ability to look at hundreds or thousands of markers simultaneously to get a better overall picture. Pfizer’s translational and diagnostic teams partner with organizations that perform comprehensive genetic profiling tests to analyze those markers. A growing body of research has shown the potential of TMB to predict, based on specific tumor types, which patients will respond to immunotherapies. One study found a significant correlation between the TMB of 27 tumor types and the objective response rate to anti–PD-1 or anti–PD-L1 therapy. The authors concluded that perhaps 55 percent of the differences in the objective response rate across cancer types could be explained by the tumor mutational burden, with some subtypes (such as Merkel-cell carcinoma, MCC) responding better than would be predicted by the TMB alone, and others (such as some colorectal cancers) responding worse. This could in part be due to differences in the origins of specific cancers—because MCC is caused by a virus, for example, the immune system could recognize those tumors more readily as they have additional, viral antigens on their surface. And TMB is just one of many potential biomarkers that researchers are exploring. 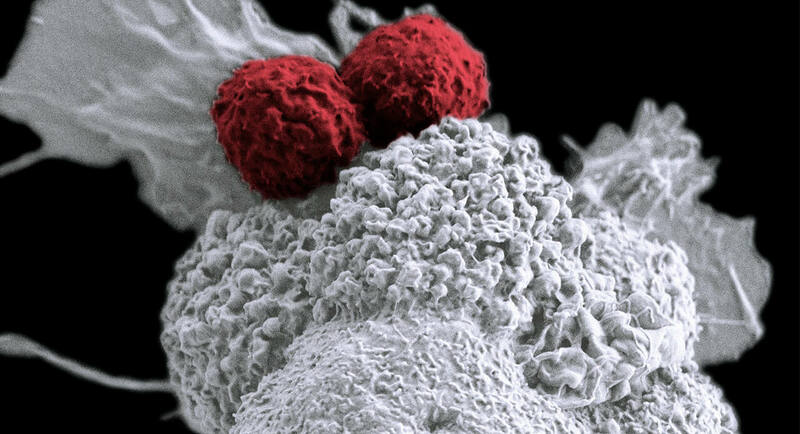 Others, such as T cell receptor clonality—which indicates, through DNA analysis, the diversity of T cells present and thus the diversity of antigens that patients’ immune systems should react to—as well as the quantity of specific T cell subtypes within a tumor, specific proteins circulating in blood, specific blood cell counts, or epigenetic markers could potentially complement the use of TMB for certain cancers. A growing body of research is looking at the utility of these markers for different types of cancer. In the age of precision medicine, the idea of getting to know someone — and anticipating their responses — takes on a more complex and higher-stakes meaning. With tools like TMB, researchers hope to have improved powers of prediction, which in turn could give patients more hope.